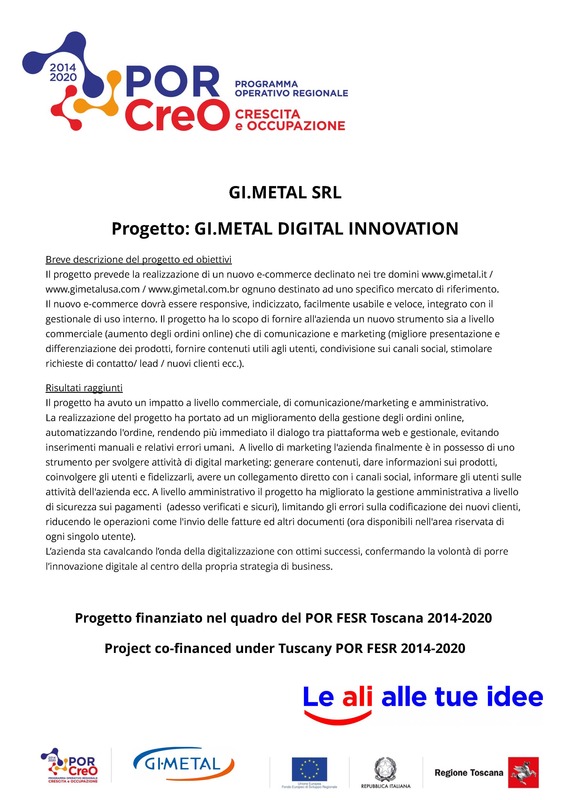 2019 has started and Gi.Metal inaugurates the fair season with the most important event in the Italian market: Sigep at Rimini Fiera! In 2019 the International Trade Show of Artisan Gelato, Pastry and Bakery will celebrate the fortieth birthday and preparing to exceed the record numbers of the last edition, with many news on equipment, raw materials and services for the food-service! The goal is to replicate or even better improve the results of last year: 32 thousand visitors and exhibitors from 180 countries in the world. As usual Gimetal is waiting for you in Hall B7 dedicated to Artisan Bakery to welcome you in a stand where you can find all the 2019 news, telling who is Gimetal and what are the company's values. In partnership with Pizza Master, the Scandinavian manufacturer of professional ovens, we are waiting for you at our stand to taste the gourmet pizza made by Pietro Tallarini, Italmill technician pizzaiolo. Join us at Rimini Fiera !